So, I wanna talk about Spring (I know that I have already) but I also wanna talk about a Spring trend that I am currently obsessed with. Embroidery. Okay so first on the agenda for today...gingham embroidery! I have been patiently biding my time with the gingham trend. I don't even really know why, but I couldn't fight it any longer when I came across this cold-shouldered dress of dreams. Its simply; gingham goals. The tipping point for me with this was the fit. I am a sucker for a-line as it really can be very flattering without being figure hugging. Notice how I wore this dress over the Easter weekend, which gave me a liiiiiiitle bit more room to relax and enjoy my eggs. Combine the style with the elasticated detail of the sleeves (complete with bow!) and I was sold. I have to admit, I really have been loving the gingham trend at the moment (my Instagram feed seems to, too!). It is quite a step away from what I would usually wear day-to-day, but it still has enough hints of black in it to enable me to pair it with my trusty biker boots and go-to leather for a really casual look. Obviously. I do also think this dress would work equally as well with some strappy sandals, or maybe even a mule and a denim jacket thrown into the mix too?! To me this dress screams versatility, but is cute as hell without crossing the "I'm going on a picnic" line. The pops of red flowers makes it easy to introduce other colours into the grand scheme of things, I think next time a red lip will be applied...and just a thought, is a wicker basket going too far? I think not. I have really been loving the floral embroidery style since forever, to the point where I have even enquired about getting embroidery patches to stitch on other non-embroidered items that I own (leather jackets etc. etc.) just call me DIY Mel. This actually has to be one of the comfiest dresses that I own. That isn't even an overstatement. The dress itself is quite thin which really adds a floaty vibe to it, especially as it fits off the shoulders (which I've probably said before but is a personal FAVE for me as I love a bit of collar bone here and there). 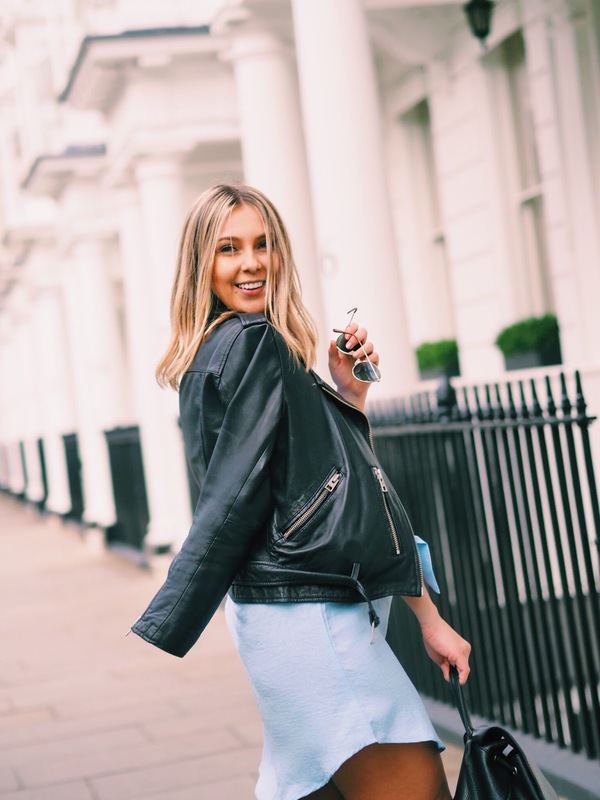 The colour of the dress is such a cute sky blue shade, almost bordering on a denim vibe but the light wash makes it easy to pair with other items including a denim jacket itself, a leather, or even to just use as a cover up at the beach! I am absolutely packing this on my next trip to throw on in the day around the pool, it's light enough too not be too hot, but also makes you looked tanned as hell already (give me a couple of minutes and I will uncover the tanning secret, don't worry). So again, I wore this with some biker boots and a leather for when the sun started to go down (and for those shaded spots in England where you might as well have stepped into the Antarctic). The vibrant red embroidered patches do however mean that you can introduce a pop of red into the look. I plan to next wear this with some silver strappy heels and a red lip! Stay tuned on an Instagram near you for that look. So as you might be able to tell from these shots, I was twirling myself into dress heaven with these two easy to style spring feel. Two very different dresses but SO easy to style for both a casual or smart spring look. One last thing before I go and look at booking a holiday so that I can pack these beauty's..how to complete the look if you haven't got already got that holiday booked - how to fake that summer glow! 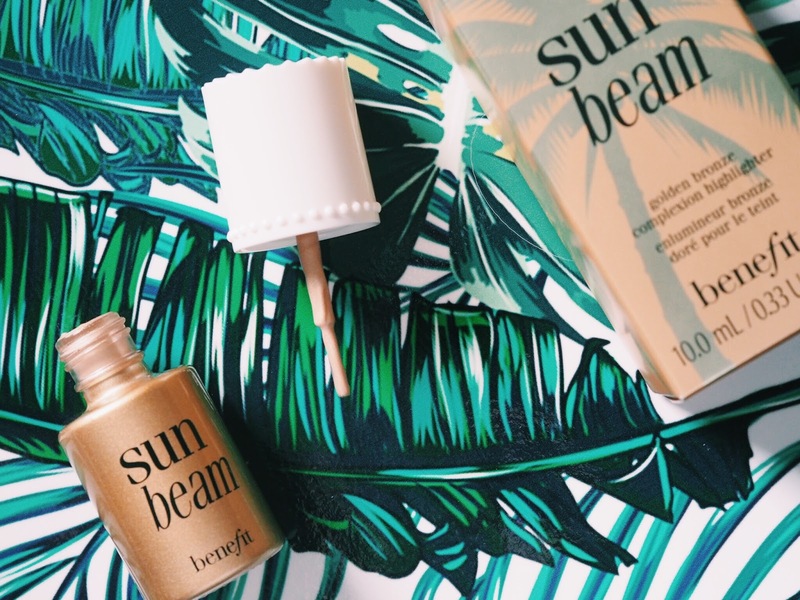 I have always been a HUGE fan of Benefit products and have used them for years, but it is only recently that I have started to venture into the world of highlighter (I know - slow, right?). What the hell did I do without this product in my life though? 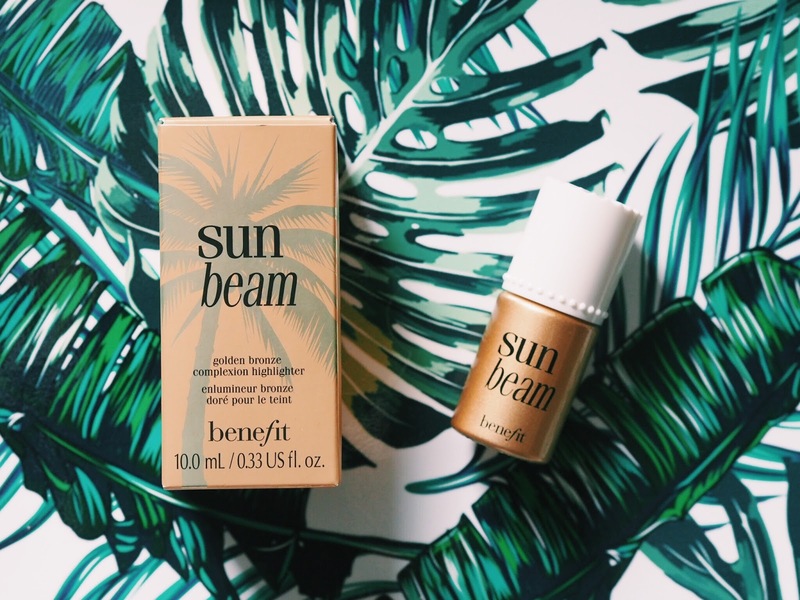 I am currently using this Sun Beam by Benefit to not only give me a pop of bronze shimmer but I have also started to add a few drops in with my moisturiser before heading out, to target areas such as the collar bones. Simple but ooooooooooh so effective! That summer glow, combined with the off the shoulder embroidered dress, a smokey eye (courtesy of Urban Decay Naked Palette) is exactly what dreams are made of, my friend. This post is sponsored by Debenhams. This is oohh so amazing. I love the outfits and the way you styled your dresses with black leather jacket it gives your looks so trendy.